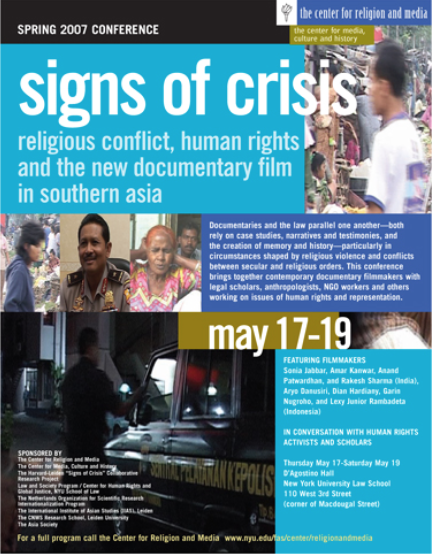 This conference brought together contemporary documentary filmmakers from Indonesia and India with legal scholars, anthropologists, NGO workers and others working on issues of human rights and representation. By examining the relationship between human rights activism and documentary film-making, the three-day conference stimulated dialogue and knowledge across many relevant communities. Documentaries and the law parallel one another in that both rely on case studies, the use of narratives and testimonies, and the creation of memory and history—particularly in circumstances shaped by religious violence and conflicts between secular and religious orders. 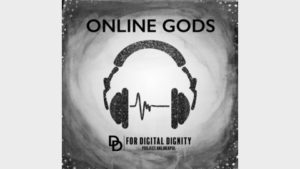 Screenings and panels explored the role film plays in producing human rights consciousness as it generates evidence of violations and provides legally acceptable documentation. In so doing, film can create a changed cultural climate that might move forward claims to justice as well as reconciliation. The event was hosted by the Center for Religion and Media and the Center for Media, Culture and History at NYU in collaboration with the Harvard-Leiden “Signs of Crisis” Research Program and the Law and Society Program / Center for Human Rights and Global Justice of the NYU School of Law.